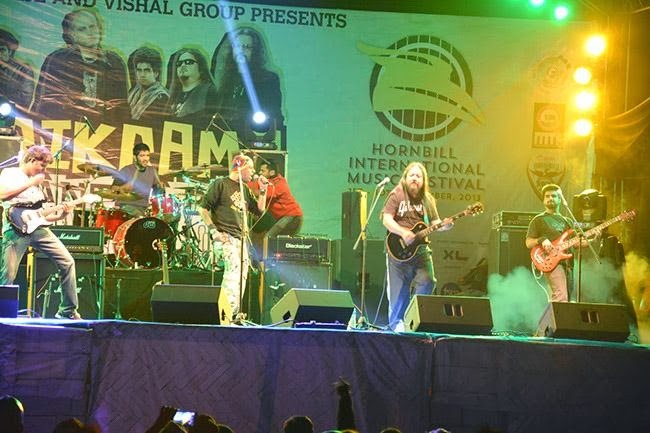 Hornbill International Rock Contest (HNRC) 2013 presented by Airtel would kick-start Friday at Naga Solidarity Park, Kohima. On day five, Alo Wanth, Making Merry and Parikrama enthralled the crowds. Altogether 27 bands are set to compete for the highest prize money from across the India and abroad. The organizers have asked all participating bands to report at the Nag Solidarity Park by 10 a.m., December 6 for draw of lots/sequence followed by briefing from MTF project director G. Chishi. The audition will take place on December 6, 7, 8 and 9 (declaration of the 9 finalist). During the event, band from the UK will also perform as special guest band. The grand finale would be held on December, 10. The Hornbill International Rock Contest (HIRC) 2013 from December 6 to 10 is also part of the annual Hornbill Festival, the annual cultural extravaganza in Nagaland showcasing the rich Naga culture, organized by the state government’s Music Task Force (MTF), department of Youth Resources and Sports and the event is managed by XL.